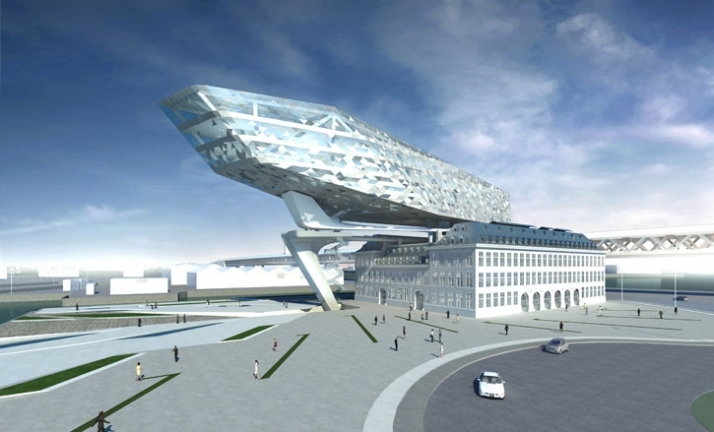 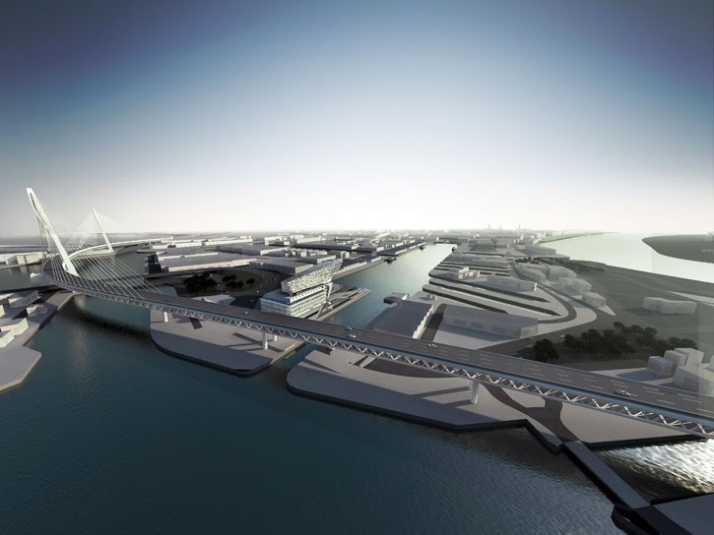 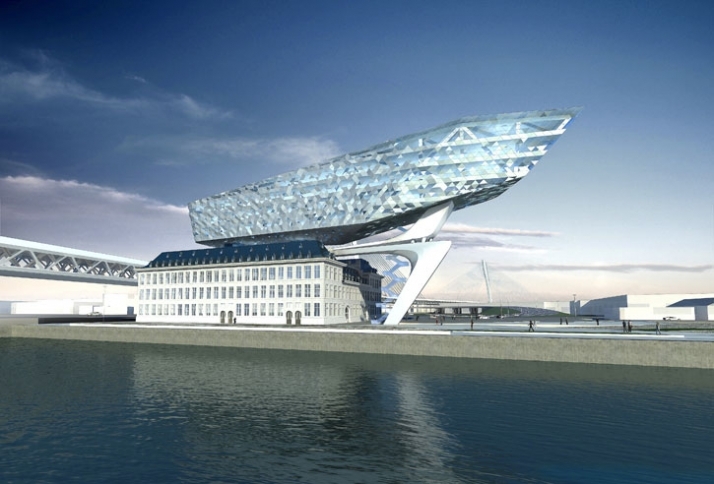 The Antwerp Port Authority will build its new headquarters - the future Port House - on the boundary between the city of Antwerp and its harbour. 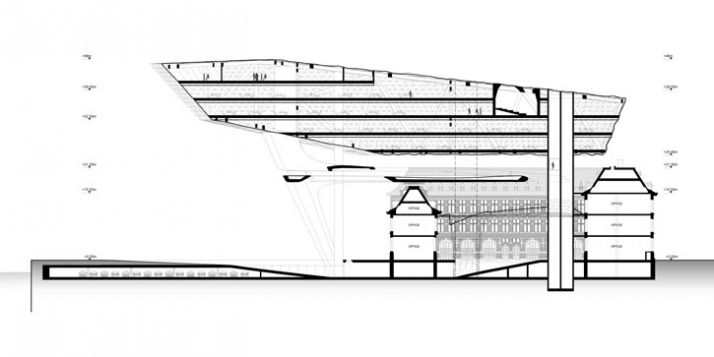 The new building’s volume is enclosed by articulated surfaces that have a façade of glass and aluminium panels, reflecting the surroundings during the day and transforming into a radiating crystal at night. 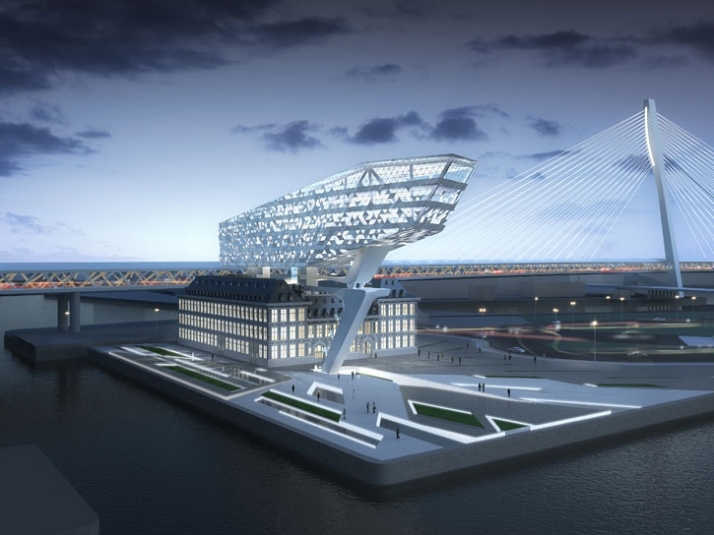 The panels do not all lie in the same plane but are rotated slightly with respect to one another, reflecting light from these facets - a reference to Antwerp’s diamond industry.